So it's a Friday or Saturday night and your 20 year old self is ready to par-tay, but the 30 year old is ready for a date night at home followed by cozying up on the couch with a roaring fire, rom-con and big glass of wine. Seriously the inner struggle is real -- even before Emerson. 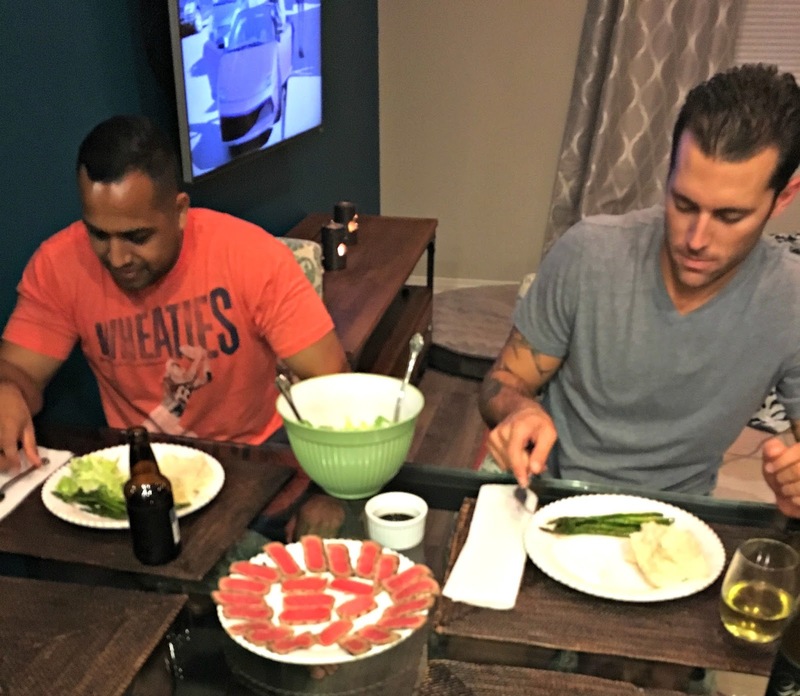 Since Emerson the Hubby and I have been focusing on saving even more money and like to have date nights in. Emerson goes to bed at 7 p.m. so it's really easy. I'm a big fish person and probably cook salmon at least once a week. 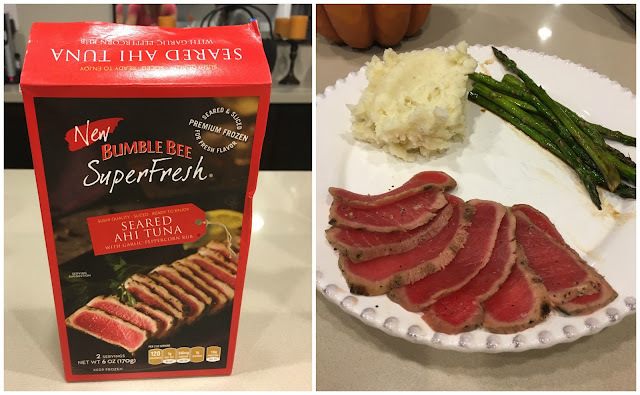 Looking to mix things up, I suggested trying Bumble Bee SuperFresh® Seared AHI Tuna. We had nothing to lose, right? Bumble Bee SuperFresh® Seared Ahi Tuna is the first ever sushi quality “Thaw and serve” packaged seafood product. It stays frozen during the processing and never fully defrosted or re-frozen during preparation, so we can guarantee our quality is on par with what you expect from fine chefs who know how to source the best product for their restaurants. While their suggested Fall menu sounds A-M-A-Z-I-N-G my sister had a different idea. Oh yeah, did I mention we were at my sister's place in LA? 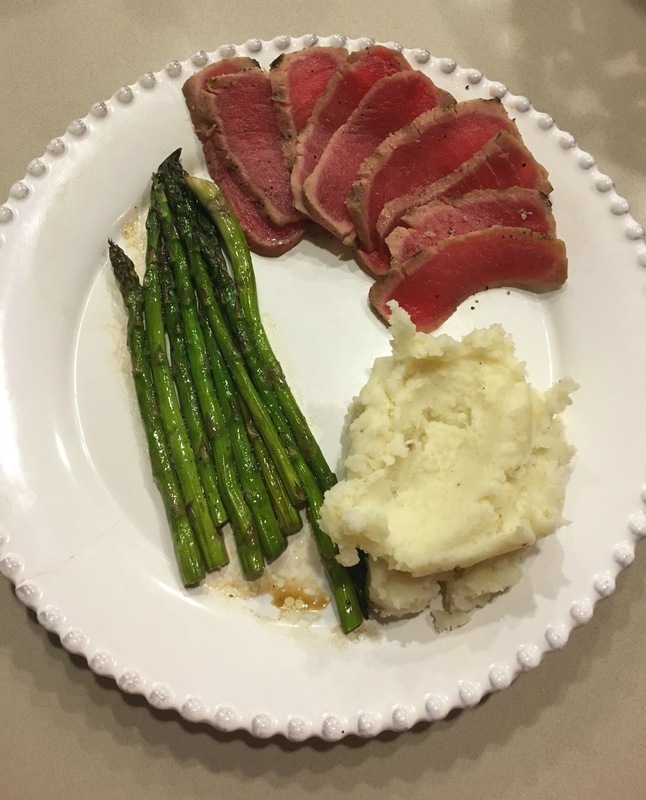 Our menu was simple and full of flavor: Bumble Bee SuperFresh® Seared AHI Tuna, Wasabi Mashed Potatoes and Sautéed Balsamic Asparagus. Place potatoes in big pot and cover with cold water. Bring to a boil. Reduce to a simmer and cook until tender, about 10ish minutes. Drain potatoes. Break up potatoes using a mixer or masher. Add garlic, butter milk, wasabi salt and pepper. Mix until smooth. Add additional milk for a smoother consistency. Add additional wasabi, salt and pepper as needed. Garish with chives and enjoy! 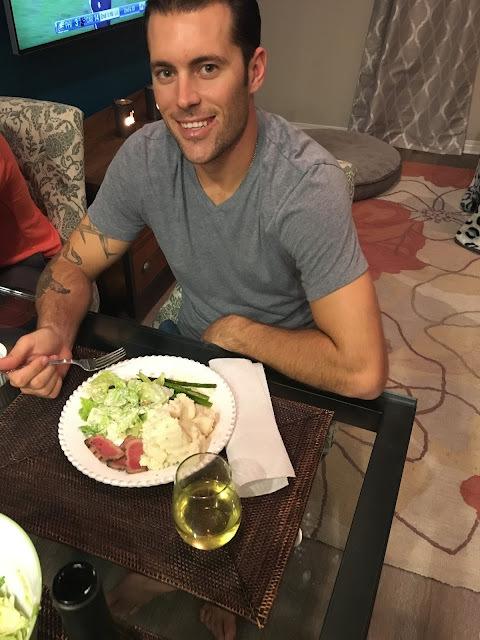 The key to a great date night in is good COMPANY, great FOOD, and plenty of WINE. Don't forget to visit the Bumble Bee SuperFresh® website for menu ideas and a $2 off coupon! Which product would you try? All our seafood is no mess, and no fuss; just pure perfection, time after time. Our premium Salmon and Tilapia come with their own parchment paper baking pouch and go from freezer to table in under 25 minutes. High in protein, richly seasoned with pure and simple ingredients that let our fish shine through! Bumble Bee SuperFresh® smells and tastes amazing. No fishy smells here. 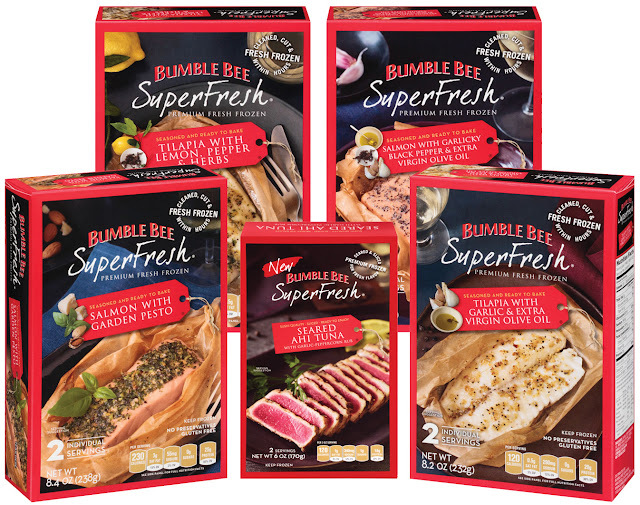 Because you prepare Bumble Bee SuperFresh® straight from the freezer, there isn’t any smell associated with thawing fish. And our frozen protein has stayed that way from harvest to your oven unlike most of the “fresh” fish you find at the seafood counter. That means it is fresh tasting, and fresh smelling.